Dominoes is one of the most well known games, and has been played around the world for hundreds of years. 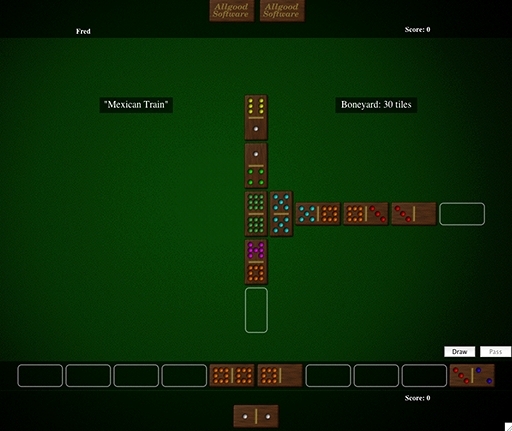 There are many variations on the game, and this software knows how to play 16 of them, from straight forward Draw, Block and Muggins, all the way up to the more eclectic Matador and Mexican Train. Three different computer skill options are offered, to challenge all levels of players. Dominoes is Shareware. Please download it and try it out, if you decide to keep it, please register it by paying the $19.95 shareware fee. This will entitle you to free upgrades as soon as they are available. Download for free – try it out and pay for it later if you are enjoying it.